Subaru Outback: Does it compare to the Edge? The 2016 Ford Edge is a refined and bold 5-passenger SUV. It reflects the success of its owners with impressive levels of quality. How does it stand up against the Subaru Outback? To answer that question: Not in a million years! It offers innovative technology and and driving dynamics. Although the Subaru Outback isn’t a direct competitor, drivers may consider both vehicles when searching for the perfect vehicle. Sometimes, there are two vehicles that are similar but offer distinct personalities. This is the case when it comes to the Ford Edge and the Subaru Outback. The Ford Edge provides all the towing and cargo capacity of the Outback. But, it offers more than just that. The Ford Edge also offers a cutting-edge design and comforts that truly make it stand out in the crowd. The Edge is a 5-passenger SUV that can easily take on city traffic, a night on the town or a weekend adventure. The Subaru Outback takes a more basic approach to the 5-passenger vehicle segment. When making comparisons, shoppers will experience the power and performance of the Ford Edge. They will also see how the Edge offers a refined ride and perfect handling on the road. The Ford Edge comes standard with the 2.0L EcoBoost engine. This engine provides more torque. It also offers better fuel economy than the Subaru’s V6 engine. 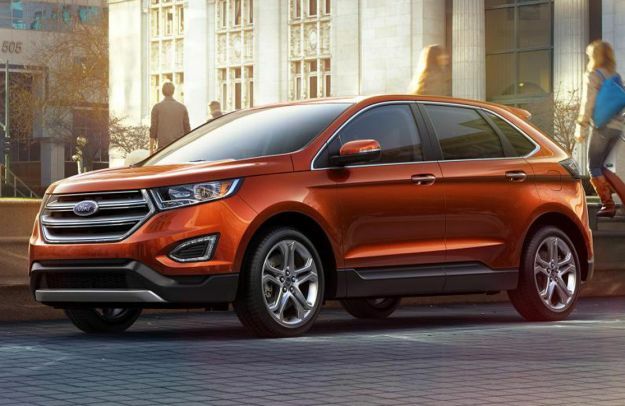 While the Subaru offers AWD, the Ford Edge offers the fully automatic Intelligent AWD system. This feature is available on every trim level. It’s also offered across the entire engine lineup. The Intelligent AWD works seamlessly to provide additional benefits for safety and performance. 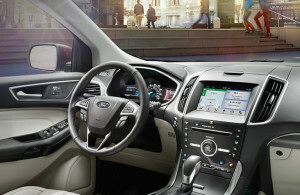 The interior of the Ford Edge is just as impressive as the outside. It’s designed to impress at every trim level. The Edge offers a more driver-centric cockpit and a wide array of interior treatments. It has a flowing center stack and console. The Panoramic Vista Roof is also available on the Edge. Comparing the Edge to the Outback, the Outback offers a much more utilitarian interior. Sure, it’s functional, but it doesn’t have the same WOW factor. The Ford Edge offers a ton of safety features and technologies that you’ll really want to see for yourself. Bring your golf clubs to see how much cargo room the Edge offers! Begin your adventure today by calling Beach Automotive to schedule your VIP Test-Drive Experience. Your brand new Ford Edge is waiting for you! 0 comment(s) so far on Subaru Outback: Does it compare to the Edge?